Ho ho ho everybody! Christmas has come and gone but it’s never too early to start planning your 2012 Christmas treats. Order your cupcake toppers early this year and we’ll hold your delivery until the date of your choice. Beat the Christmas rush and avoid expedited shipping and rush order fees. 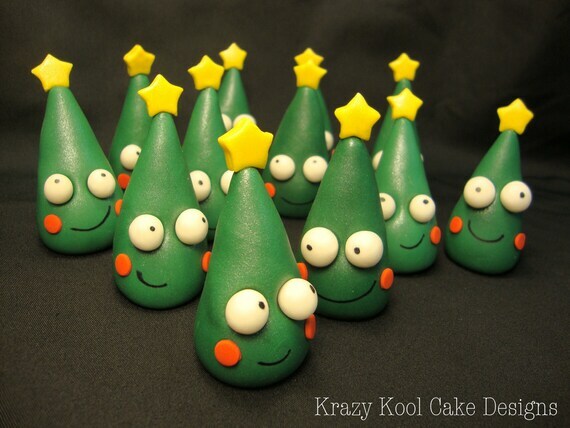 Adorn your beautiful Christmas cake or cupcakes with these absolutely adorable hand-sculpted Christmas trees. Each cute little tree is handmade with love by cake and sugar artist Laura E. Varela-Wong. These will melt hearts and bring out the Christmas spirit in anyone! This listing is for one dozen (12) edible Christmas tree toppers. Each tree is approximately 3″ tall and 2″ wide. These little trees are just the right size to sit on top of regular or jumbo sized cupcakes and a dozen of these are the perfect amount for decorating a large two tier cake. 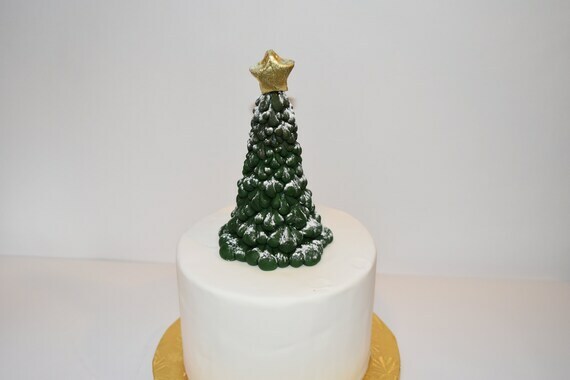 Trees adhere very easily to any fondant covered cake with just a tiny bit of royal icing. Yes, they are 100% edible but can be kept as momentos or keepsakes indefinitely as long as they are kept in a cool dry place. SIze: 3.25″ bottom diameter by 6″ tall. Minimum cake size to sit on top of 4” cake, looks best on top of a 6” cake. For larger cakes, I suggest two figurines/animals or some other decorations on top with it. 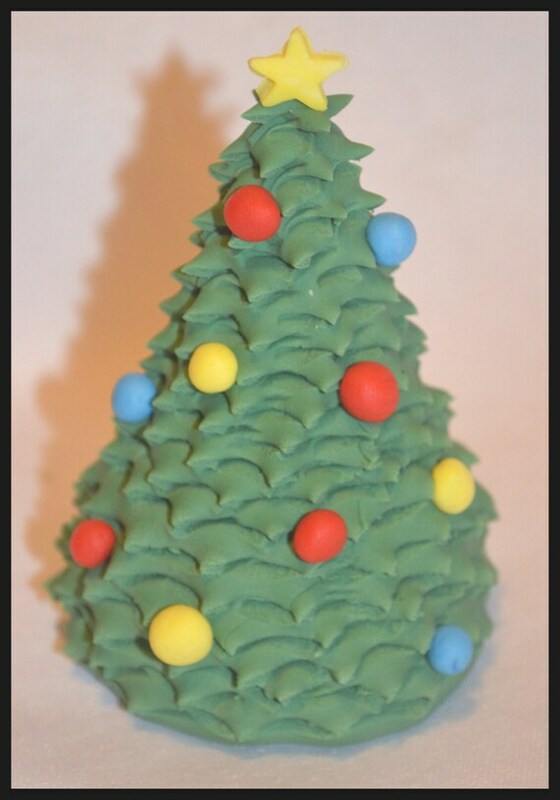 A fondant Christmas tree cake topper. Tree is approx. 3″ wide by 4.5″ tall. Comes decorated with star and balls, or can also be ordered as a plain pine tree without decorations.